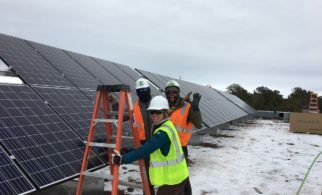 New York, a state with a restructured electric market, is advancing low-income solar access via the Reforming the Energy Vision (REV) initiative, Energy Affordability Policy (6% energy burden for low-income residents), and its Green New Deal initiative (goal for 100% of the state’s power to be carbon-neutral by 2040, increasing the Clean Energy Standard to 70% renewable electricity by 2030, and incorporating measures to achieve a Just Transition). The development of a loss reserve program to facilitate the construction and operation of CDG projects serving low-income households. 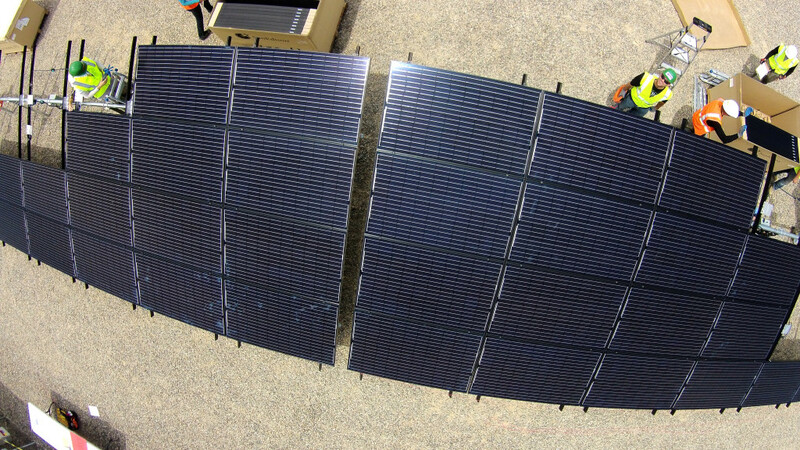 Recent attention regarding low-income CDG in New York has been focused on two new programs offered by NYSERDA: the Solar for All Program and the Affordable Solar Predevelopment and Technical Assistance grant program. 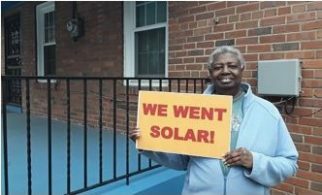 Under the Solar for All Program, NYSERDA developed a CDG subscription model specifically for low-income customers, with subscriptions offered either at no cost, or where low-income participants pay a portion of their savings to the sponsor to receive other benefits. NYSERDA issued a solicitation for CDG projects targeting 10,000 subscriptions for low-income customers and in December 2018 announced awards to nine projects across the state. NYSERDA will allocate the committed capacity to low-income customers using the program’s subscription model, and manage customer enrollment and subscription allocation on an ongoing basis. Among other things, NYSERDA has committed to consider policy factors, in addition to pricing, in the evaluation of solicitation responses, including geographic diversity, local-level project support, options to extend customer participation, and other factors. (Case 15-E-0751 and 15-E-0082 and Matter 17-01278 Staff Report on Low-Income Community Distributed Generation Proposal Issued December 15, 2017). 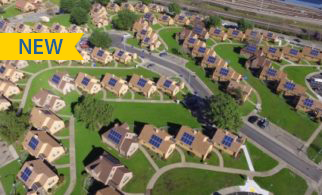 Under the Affordable Solar Predevelopment and Technical Assistance grant program, NYSERDA is offering funding to address barriers to early-stage project development for solar projects that will serve multifamily affordable housing buildings or low-income residents via community solar. Grants are available to facilitate activities such as customer acquisition and management, community engagement, the arrangement of financing, and the development of legal structures needed to facilitate project development. Accessibility and Affordability. In the Solar for All Program, NYSERDA’s goals include enabling up to 10,000 low income New Yorkers to participate in community solar subscriptions that reduce their total electricity bill and reduce community solar project implementation and financing costs to maximize savings to low income participants. Standard subscriptions will be structured and sized to not interfere with the customer receiving the full value of the Energy Affordability bill discount, HEAP benefit (if electric heating customer), or typical electrical efficiency measures. Community Engagement. In the Solar for All Program, NYSERDA will work with low income energy efficiency programs, utilities, community agencies, solar project developers, investors and other market actors to market the program to low income customers and develop a strategy for a post-initiative transition. 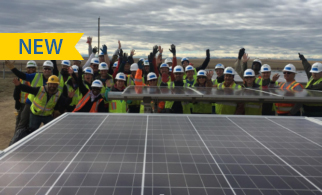 The Affordable Solar Predevelopment and Technical Assistance grant program offers funding for community engagement and customer education. Consumer Protection. Though not specifically characterized as a consumer protection measure in NYSERDA’s initiative, NYSERDA will develop a community solar subscription model specifically for low income customers, with subscriptions offered to income-eligible customers at no cost. Generally speaking, when financial liability is eliminated (as it is proposed in this case) the risk for consumer protection violations is greatly reduced. 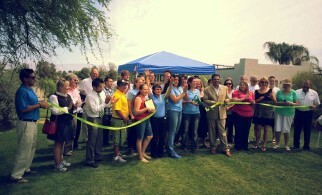 Sustainability and Flexibility. 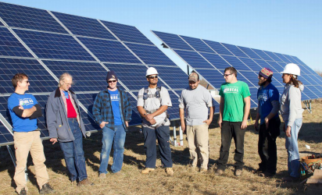 NYSERDA will solicit for and contract with community solar project developers to dedicate capacity in community solar projects to low income customers. NYSERDA will consider policy factors, in addition to pricing, in the evaluation of solicitation responses. Policy factors will include geographic diversity, project size, options to extend customer participation, additional customer or community benefits, and other factors. Compatibility and Integration. 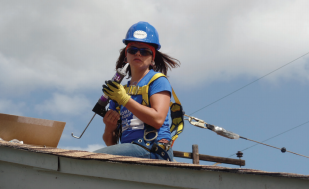 In collaboration with low income energy programs, utilities, participating solar developers, community agencies, and other partners, NYSERDA will engage potential customers, provide program information, verify customer income-eligibility, and enroll participants in the program.